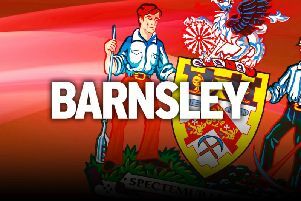 Striker Kieffer Moore says Barnsley’s players are heading into the most important seven games of their careers. The Reds are five points adrift of safety and need points fast in their Championship survival bid. First up is a derby at Oakwell as they host Sheffield United today. Moore, pictured, who has scored three goals since joining the club in January, admitted: “This could be the seven biggest games of our careers. “Nobody wants to go down and we’ll fight until the end. We know what we have to do. It’s going to be a fight but we have to pick up points. “Pressure’s part of football. If you can’t deal with pressure then you shouldn’t be a footballer. He added: “It should be a good game and hopefully there’s an electric atmosphere. “I watched their (United’s) last game on the TV and I can see us turning them over and using the three points for our own benefits.